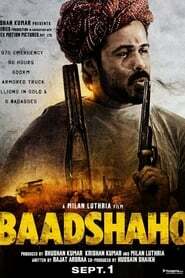 Baadshaho is inspired by real-life events during the Emergency and revolves around stolen gold, a thief (Ajay Devgn), an undercover cop (Vidyut Jammwal), a character inspired by Maharani Gayatri Devi (Aishwarya Rai Bachchan) and an army officer (Emraan Hashmi) who is entrusted with protecting the country's treasure. Ayan falls in love with his soulmate, Alizeh, but she doesn’t reciprocate the feeling. Later, a relationship with Saba helps him realize Alizeh’s value in his life, irrespective of their relationship status.